Get SAGE notifications and access new Lecture Spark content every week! If you don’t already have a SAGE online account, create one in minutes and start receiving weekly notifications of this valuable content for your course—FREE! To receive email notifications, check the “Keep me up to date on news and special offers…” section before completing the registration form. If you already have a SAGE online account and you have not selected American Government as your area of interest, update your account in seconds and start receiving weekly notifications of this valuable content for your course. Select Areas of interest from the left-hand menu options. Select Personal details from the left-hand menu options. To receive email notifications, check the “Keep in touch” section and click Save. 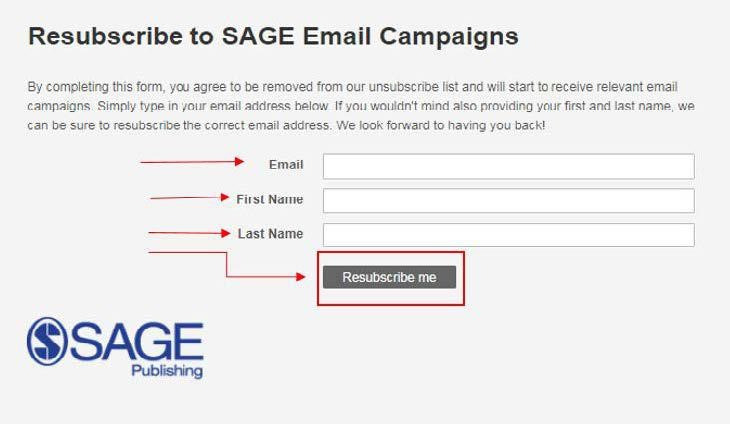 If you already have a SAGE online account and you have selected your area of interest, but are not currently receiving SAGE emails, resubscribe your account in seconds to start receiving weekly notifications again. Simply type in your Email, First Name, and Last Name and click Resubscribe me.